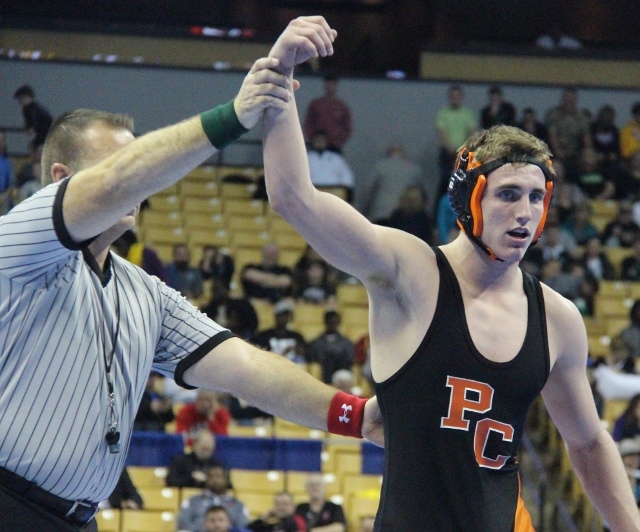 This past weekend was eventful for the Pirate wrestling team in Columbia, Mo at the Missouri high school wrestling tournament. They had seven medalists, four of them being champions. Sophomore Austin Kincaid and senior Trey Dockery finished with their first state medals at 6th place. Junior Casey Jumps also acquired his first state medal with a 5th place finish. Sophomore Cody Phippen was the champion at 106 with a tech fall, he fininished 2nd last year in the Kansas state finals. 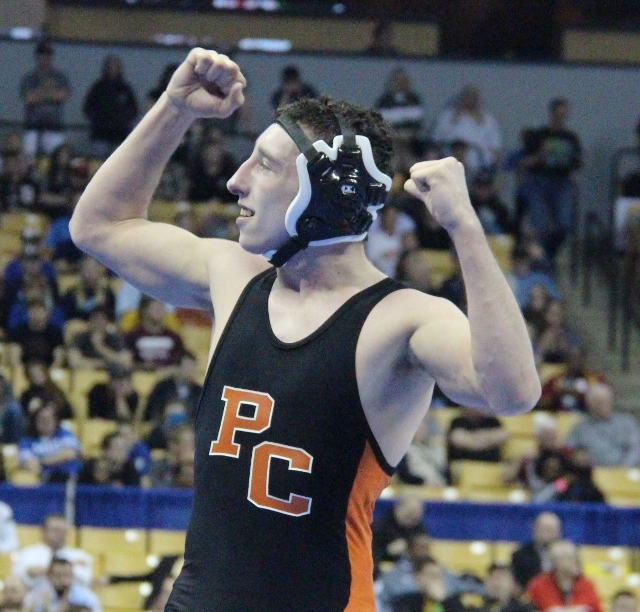 Senior Matthew Schmitt capped off his high school wrestling career with his 3rd straight state championship, this time at the 132 pound weight class and with a decision. 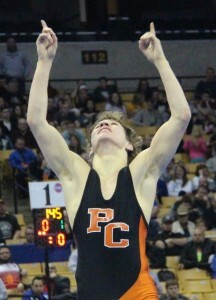 Also, senior Ethan Karsten became the 4th three-time state champion in Platte County history, two matches after Schmitt. 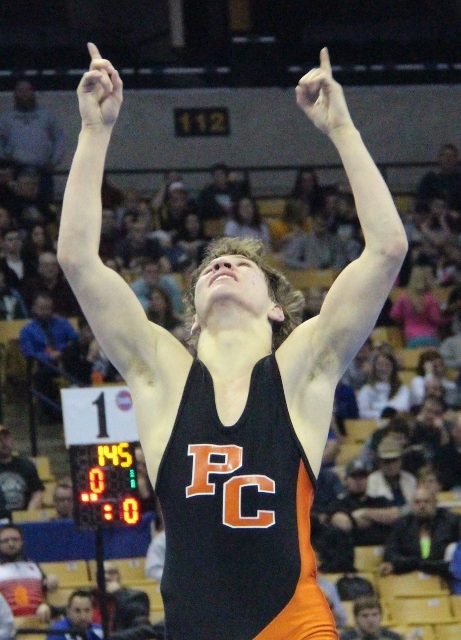 Karsten finished off his career with a pin in the second period to win the 145 pound weight class two years in a row. 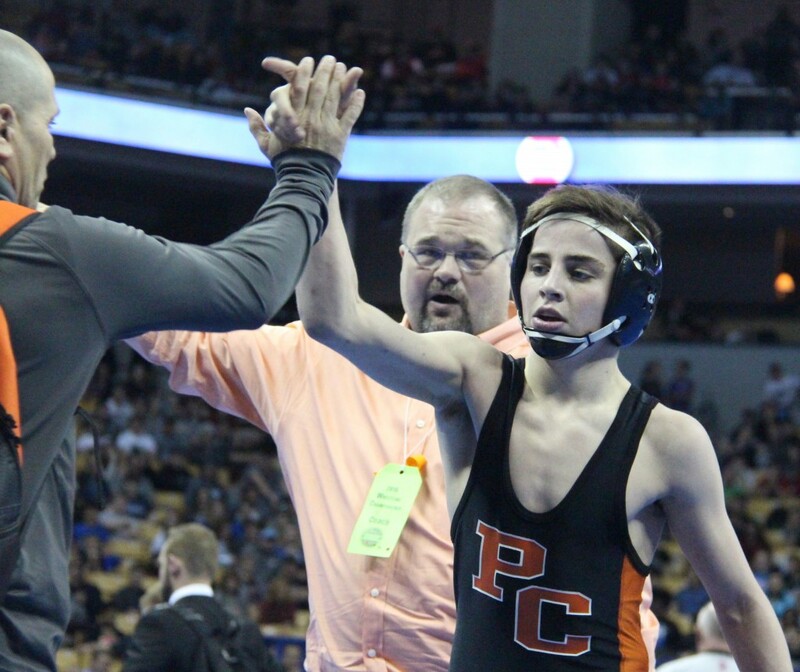 Karsten wrestled this tournament a few days after the passing of his older brother, Jourdan. He had an aggression that was unprecedented, and was the only wrester at the tournament to pin his opponent in all four matches. Another senior, Johnny Blankenship won his second state championship, this time at 160. After a championship sophomore year, and a heartbreaking 2nd place finish last year, he was determined to get back on top, and won with a decision. As a team, the Pirates finished 2nd behind the Neosho Wildcats. They became the first team to have four state champions, but not win the state tournament since 2009.